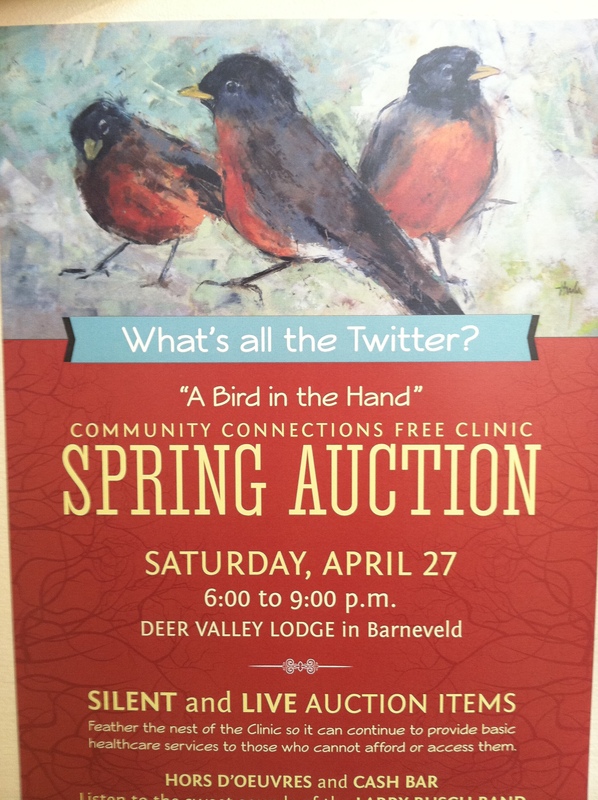 Have fun and support a good cause this Saturday night (April 27, 2013) at the popular Spring Auction for the Community Connections Free Clinic. The Clinic is now celebrating its 5th Anniversary, having provided free health services to over 2,000 individuals. Check out this video and get a glimpse into what an amazing service this clinic provides for our community. This worthy fundraising event includes both silent and live auction items, light refreshments, cash bar, and musical entertainment by the Larry Busch Band. The highly-sought-after selection of goods and services included in the auction brings out the competitive spirit of the attendees and makes for an entertaining evening. Bidding wars are likely to erupt over many items such as — an in-home musical concert, a wine tasting party and a fancy-schmancy dinner for 8 at the Gundry House, complete with valets and waiters. It’s billed as “Dunnton Abby” in reference to Dr. Aaron Dunn, one of the founders of the clinic, and his lovely wife Monica (see previous post “Gimme Five” for more about the Dunns). This year, the event will be held at the Deer Valley Lodge on Highway 151 in Barneveld. Tickets are $30 for pre-registration and $35 at the door. To register, follow this link or call Ginger Brand at 608-935-7023. This entry was posted in Entertainment and tagged Aaron Dunn, Community Connections Free Clinic, Larry Busch Band. Bookmark the permalink.